Last year, when our young Dutch friend Maud was staying, she asked if she could make a ring with me for herself. We spent a happy morning in the workshop and she made a ring saying SMILE inside, with the 'i' upside down by mistake which definitely made us both smile. 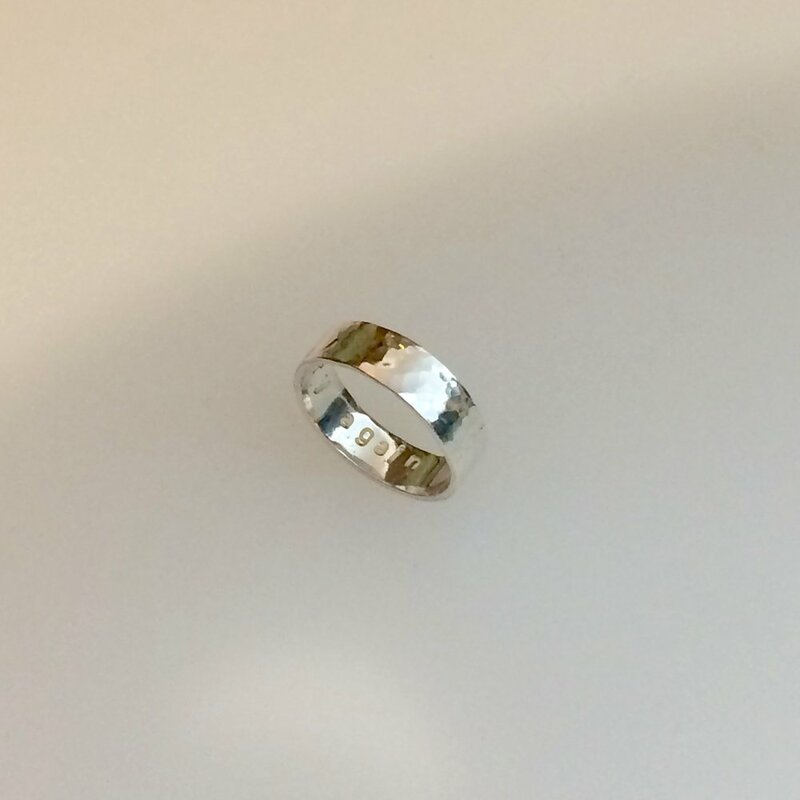 She cycles to and from work in Utrecht each day and last week, on hopping off her bike, suddenly realised that her ring had gone! As she has been over again for the weekend, we spent a bit of time in the workshop making another ring for her. Some debate over what it might say inside: she chose to put "Try try again" - suitably encouraging as a general daily message! 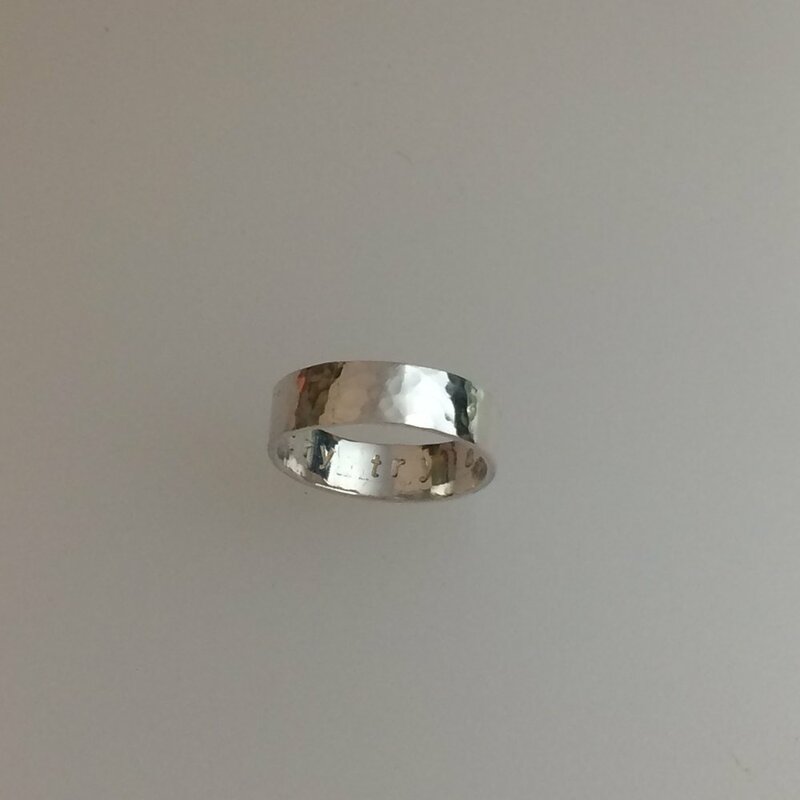 For the outside of the ring she wanted a plain hammered effect which she enjoyed producing!